In tonight's episode of Philosophy in Action Talk Radio, I'll interview my own Dr. Paul Hsieh on surviving socialized medicine. That might be of interest to some of you, hence, this announcement! With ObamaCare confirmed by the Supreme Court, what can a person do to preserve his health under America's increasingly socialized system of medical care? 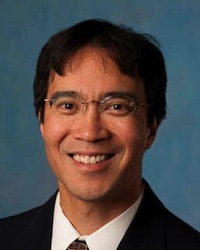 Dr. Paul Hsieh is a physician in practice in South Denver. He is the co-founder of Freedom and Individual Rights in Medicine (FIRM). He has written nearly 100 op-eds, mostly on health care policy, as well as articles for The Objective Standard. He blogs offbeat tech news at GeekPress. To join the live broadcast and its chat, just point your browser to Philosophy in Action's Live Studio a few minutes before the show is scheduled to start. By listening live, you can call the show with your questions and experiences, as well as post comments and questions in the text chat. If you miss the live broadcast, you'll find the audio from the episode posted here: Talk Radio: 25 July 2012. Philosophy in Action Radio broadcasts every Sunday morning and Wednesday evening. For information on upcoming shows and more, visit the Episodes on Tap. I hope that you join us tonight! Rule #2: These comments are not a forum for discussion of any and all topics. Please stay loosely on-topic, and post random questions and comments in the designated "open threads." Rule #3: You are welcome to discuss the merits (or lack thereof) of products. Spam comments will be deleted. You can use some HTML tags in your comments -- such as <b>, <i>, and <a>. Modern Paleo offers writings by Objectivists on the principles and practice of nutrition, fitness, and health most conducive to human flourishing. We seek the best that modern life has to offer, informed by a broadly paleo approach. The Modern Paleo Blog is managed by Christian Wernstedt (christian@modernpaleo.com), with contributors drawn from the OEvolve mailing list. Modern Paleo was created in early 2010 by Diana Hsieh (Ph.D, Philosophy, CU Boulder, 2009). She also blogs at NoodleFood and podcasts at NoodleCast. I still love and use the Sous Vide Supreme that I bought in 2009. It cooks like nothing else! I love my platinum Audible subscription! I read more, I save money, and I'm entranced by a good reading. Get a free audiobook risk-free today! I've used Web Hosting Buzz for years to host all of my web sites for years. They're reliable, cheap, and responsive to problems and requests. I saved hundreds of dollars by ordering my last pair of glasses from Zenni Optical rather than a local store. The Modern Paleo blog is powered by Blogger. Its template is based on Simple n' Sweet by Our Blog Templates, with icons courtesy of Komodo Media. The comments are managed by Disqus. Modern Paleo bloggers are powered by delicious, nutrient-dense paleo foods! All content on Modern Paleo is copyrighted by its author and reprinted with permission. Modern Paleo is owned and managed by Diana Hsieh (e-mail - web - blog - podcast).